Melissa Benoist who plays the title character was previously known as Marley Rose on Glee, having joined on in season 4 as part of the new New Directions (oftentimes dubbed New Directions 2.0) after the original characters graduated. Marley and the rest of the new kids were unceremoniously cut out (and the Jake Puckerman character ruined) from the show after the decision was made to transition the story line solely to New York to focus on the graduates. Benoist then appeared in the Oscar winning Whiplash. 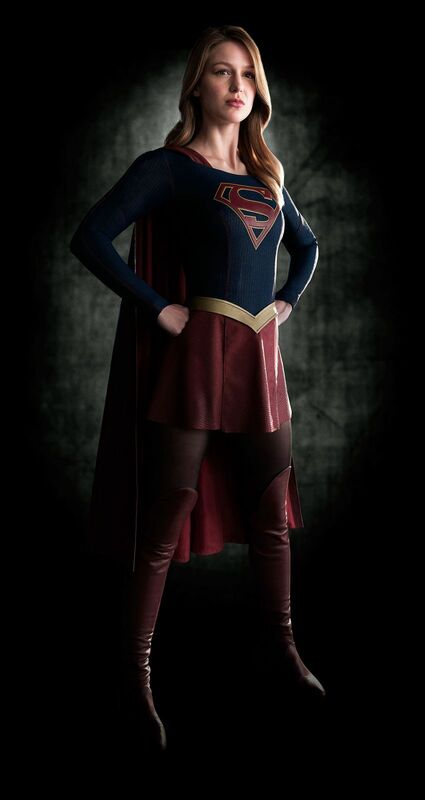 Supergirl marks her return to TV. Helen Slater, who played the character in 1984’s Supergirl movie will also appear on the series in a currently undisclosed role. A similar move was made on the CW’s The Flash when John Wesley Shipp, who played Barry Allen/The Flash in the short lived 1990 series was cast as Henry Allen, the father to Grant Gustin’s Barry Allen. Due to executive producer Greg Berlanti also holding the same title over on Arrow and The Flash, there are talks that the three shows could share a universe but nothing has been confirmed. Both Arrow and The Flash are over on the CW while Supergirl airs on CBS. Fun fact: Melissa Benoist is the second Glee star to land a title role on a DC comics show. Grant Gustin who currently plays Barry Allen/The Flash made reoccurring appearances as the Warblers’ Sebastian Smythe.